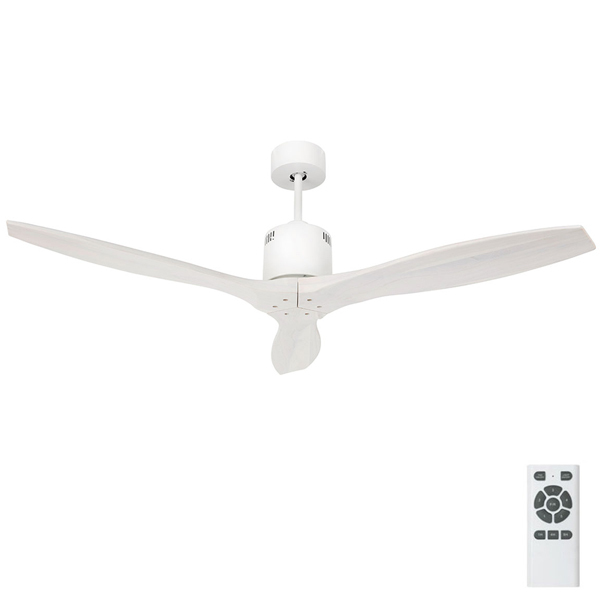 The Galaxy II ceiling fan is a new fan on the market featuring a unique 3 blade design. 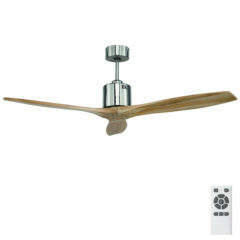 With a metal body and solid timber blades, it is a durable 5 speed ceiling fan. The Galaxy II is bought to you by the Brilliant brand and is available in 4 colours; Satin Nickel, Antique Bronze, Silver and White (all available in separate product listings). The blades are painted with a wash finish and are therefore not solid colour. The Galaxy II is an energy efficient DC motor ceiling fan that utilises 5 speeds. It is not light adaptable. This listing is for the White model. 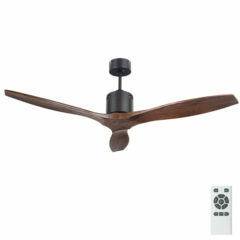 Suitable for a ceiling rake up to 14 degrees if receiver is installed in mounting bracket (fan canopy). 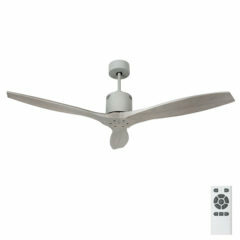 Suitable for a ceiling rake up to 26 degrees if receiver is installed in the ceiling cavity. 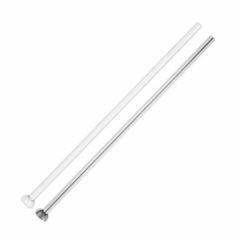 This rod is suitable for lowering the Galaxy and Tempest ceiling fans to the required height. This extension rod is available in a 90cm size and in the same colours as the fans. It is a fixed size however they can be cut to size by the installer if necessary.